ハッカー文化が日本を救う - Nothing ventured, nothing gained. 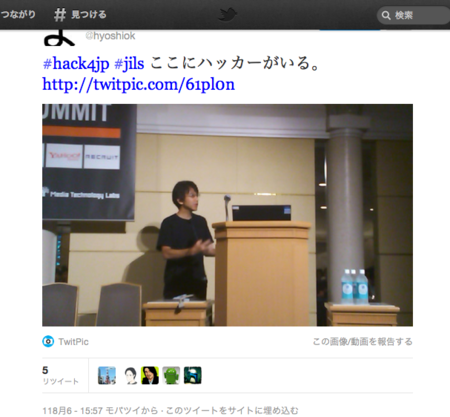 Hack For Japanの軌跡 - Japan Innovation Leaders Summit 2011 - Nothing ventured, nothing gained. "It is easier to ask forgiveness than permission. With a sincere attitude toward one’s work, the chances of doing real damage or harm are small. Consequences from bad calls, in the long run, do not outweigh the time waiting to get everyone’s blessing."